ABU DHABI, U.A.E.—Jim Schaefer, a Pulitzer Prize-winning reporter from the Detroit Free Press, told journalists on Jan. 27, 2015, to be creative when facing challenges with sourcing. 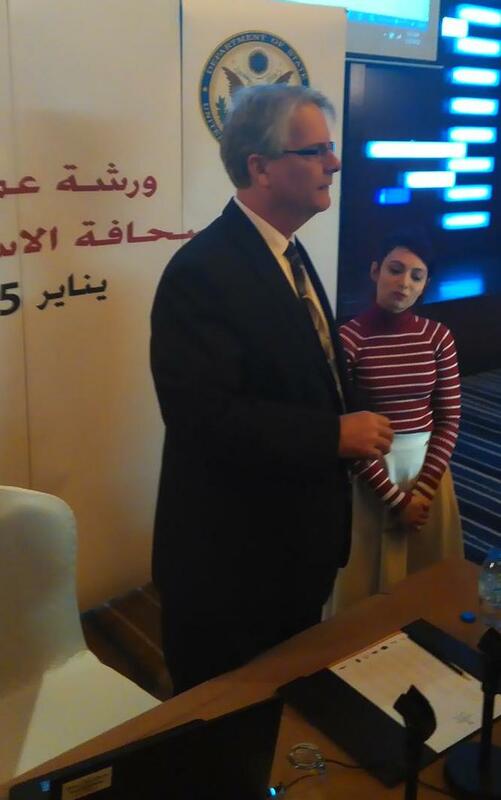 Schaefer was speaking to journalists working in the United Arab Emirates in a symposium at Grand Millennium Hotel at Al Wahda in Abu Dhabi. The Emirates Journalists Association and the U.S. State Department sponsored his talk. You are currently browsing the archives for the Online news category.